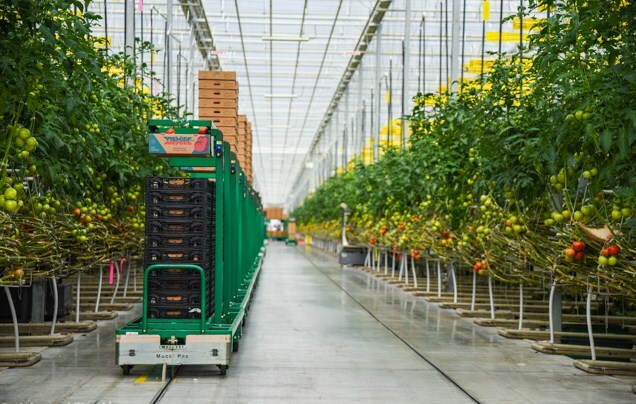 The growing season in most of Alberta is about four weeks (mid-May to mid-September), so tomato gardeners usually provide their plants a head start inside. Beginning the seeds in March should allow plenty of time for seedlings to be garden-ready by mid-May. Tomatoes succeed in slightly acidic soils, that is standard for many garden vegetables, but almost any soil can be amended for tomatoes fairly easily! You do not want soil that is extra sandy, it is going to drain too fast, and soil that is too thick with clay will take too long to drain. The roots need a continuous water supply but do not over-water, they won't succeed in a saturated atmosphere. Gardens should be replenished with organic matter every time to improve soil quality and provide it with Nutrients and microorganisms that the roots need for healthy plants. Hen you are ready to plant your tomato seedlings, loosen the dirt (with tiller or garden fork) because you work in organic matter and eliminate weeds, to a depth of approximately eight inches. Create a trench about eight inches deep to your plants but before putting them, add a thin layer of fertilizer in your trench, either 5-10-10, compost, or ready dehydrated animal manure (more about fertilizers here). Cover the layer of fertilizer with a few inches of soil and then put your seedlings to a depth of 3 or 4 inches. It's essential that the roots aren't in direct contact with fertilizer since the salts will dehydrate them, but close enough that they will absorb nutrients in the fertilizer in the soil as they grow. If you mix compost into the soil, there is no worry about plant roots getting dehydrated. Gently press dirt around the bottom of your seedlings so that they stand upright, then wait and water! Tomato plants will take anywhere from forty-five days to three months to grow, determined by the cultivars you select. Seed packets provide the estimated time to maturity. The traditional way of pounding stakes into the ground and tying the plants to the stakes is a good deal of work upfront but likely the least amount of work in the long term. 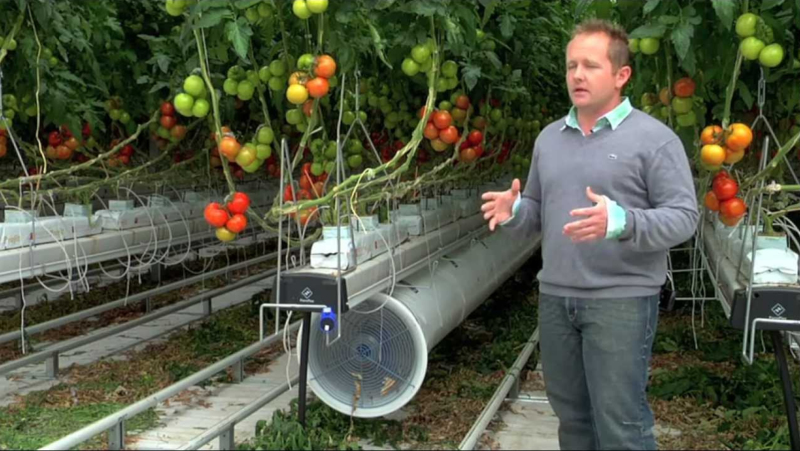 Self-supporting and spiral cages also offer support for young plants but based on their strength they might have to be replaced by sturdier cages or stakes when the tomatoes are heavy in their vines. Check your plants daily to make sure that vines are tied firmly enough that they don't allow fruit to drop to the ground but are loose enough that the links do not cut in the plant stems. One of my favorite methods of growing tomatoes is in hanging baskets, cherry tomatoes are especially beautiful and work well as hanging plants. Upside down is a variant on the hanging basket — the plants grow out the base of the planter straight down, eliminating the need to stake or cage, gravity does the job! Yards where growing space is limited and balconies with lots of suns are fantastic for both the upside-down planter and the hanging basket technique. The vine needs to be trained into the string as it evolves and like with bets, plants will need to be checked regularly that they're not tied either too tightly or too loosely. Tomatoes are quite easy to train, and pruning is usually not necessary as further lateral stems are also readily trained up the strings. Regardless of how tomatoes are propped, if staked, caged or educated on series, it is essential that the fruit doesn't touch the earth, touch with the soil increases the odds of fungus and disease.